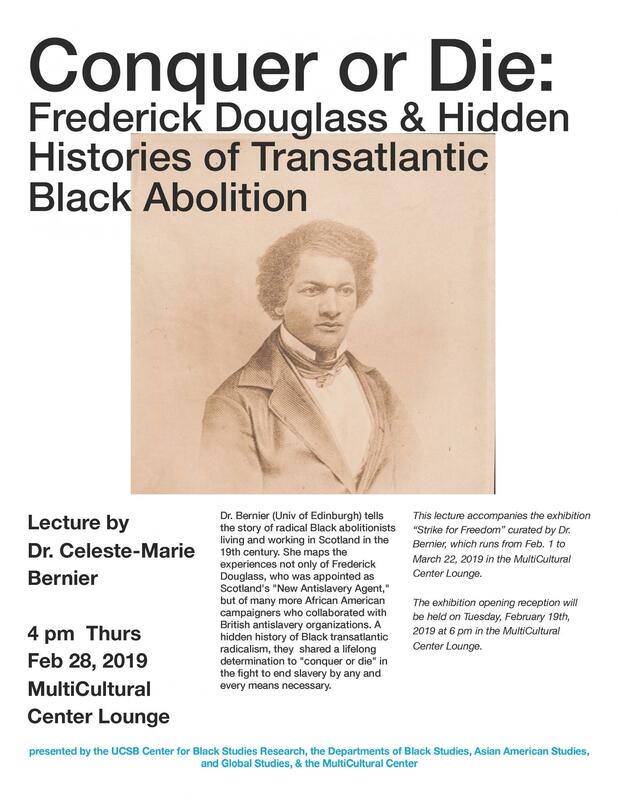 The Lecture "Conquer or Die: Fredrick Douglass and Hidden Histories of Transatlantic Black Abolition" Dr. Celeste -Marie Bernier (from the University of Edinburgh) tells the story of radical Black abolitionists living and working in Scotland in the 19th Century. She maps the experiences of not only of Fredrick Douglass, who was appointed as Scotland's "New Antislavery Agent," but of many more African American campaigners who collaborated with British antislavery organizations. A hidden history of Black Transatlantic radicalism, they shared a lifelong determination to "conquer or die" in the fight to end slavery by any and every means necessary.